This spacious modified bi-level offers 1529 sq.ft. and is built to OHomes high standards with exceptional finishes throughout. 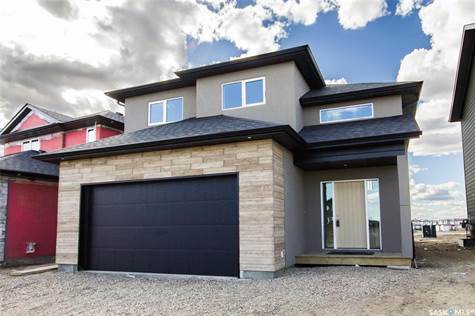 High end vinyl plank flooring, vinyl and porcelain tile flooring along with upgraded trim, triple pane windows, high efficiency furnace, water heater and much more, this home showcases the expertise OHomes Ltd. delivers with each build. The main living area has a spacious open concept living, dining and a kitchen with modern Capella Custom cabinetry. The main floor offers a full bath and two bedrooms with the master having a large walk in closet and four piece ensuite with double shower. Two additional bedrooms are on the upper level. The fully developed, two bedroom basement suite has in-floor heat, separate entry and separate laundry facilities. There is direct access to the double attached garage. All OHomes Ltd. homes are covered under the Progressive New Home Warranty program. GST is included in purchase price with rebate to the builder. Note: Some finishes may vary from the sample photos.